Early Christmas morning, children around Thurston County awake to one of the most magical days of the year. They climb out of bed eagerly, anticipating a wrapped surprise courtesy of a very jolly and generous soul. Parents around the area watch with a knowing twinkle in their eye, reliving their own childhood memories in the joyful experiences of their little ones. But in some homes, those magically wrapped Christmas memories won’t come from the jolly man in a red suit with a sleigh and flying reindeer. Nor will they come from the parents themselves. 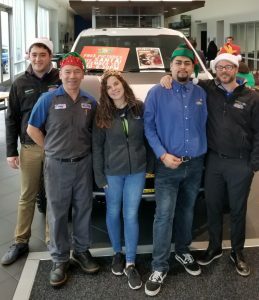 These special gifts come from generous people throughout the community and the team at Mullinax Ford looking to spread some holiday cheer to local kids in need. In 1947, United States Marine Corps Major Bill Hendricks became a modern American Santa Claus. Hendricks’s wife, Diane, wanted to donate a homemade Raggedy Ann doll to a child for Christmas, but was unable to find an organization that could get her gift to a child in need. 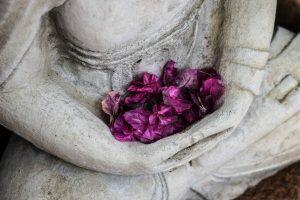 Her husband sprang into action. Working together with a group of local Marine reservists, Bill was able to gather over 5,000 toys that year, and distribute them to children in need around his local community of Los Angeles. The program Bill started became known as Toys for Tots. The following year, the United States Marine Corps Reserves officially adopted the Toys for Tots program, expanding it nationwide as a community action project. Marine Reservists began coordinating local collection campaigns in communities surrounding their centers. In 1956, Toy for Tots went international. Early on, part of the program’s success was its ability to draw attention to the cause with a recognizable logo created by Walt Disney, and poster designs featuring lovable cartoon characters such as Mickey Mouse, Donald Duck, Dennis the Menace and Bugs Bunny. 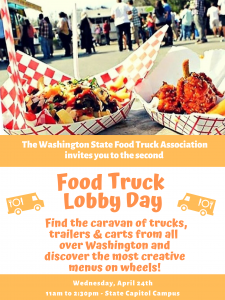 Celebrity spokespeople like John Wayne, Bob Hope, Frank Sinatra, Brooke Shields, Charlton Heston, Ann Margaret, Sammy Davis, Jr., Doris Day, Andy Griffith, Clint Eastwood, Johnny Carson, John Glenn, and First Ladies Nancy Reagan and Barbara Bush helped spread the word. Though Bill passed on in 1992 at the age of 87, his legacy lives on through the program he created. A few years back, Toys for Tots surpassed over half a billion toys collected for those in need. The continued success of the program has been from the support of every day heroes that want to ensure that every child in their community gets to experience a little Christmas magic. 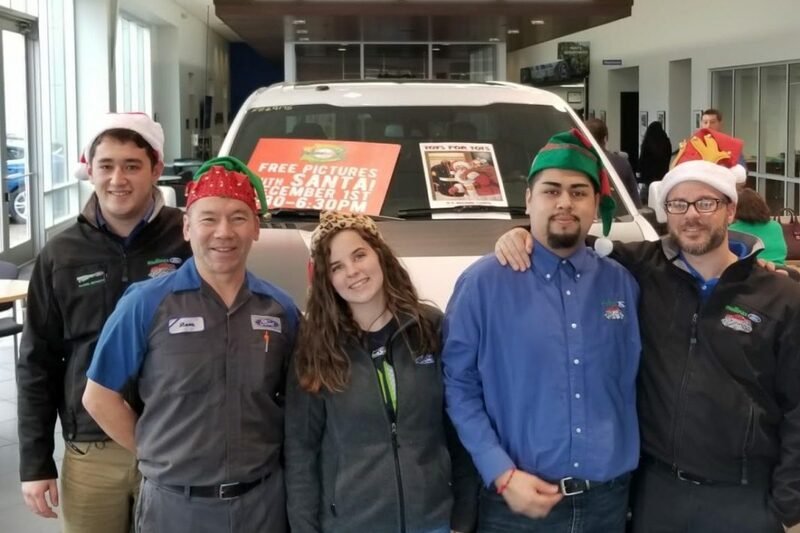 Michael Matos, service director for Mullinax Ford, got in touch with the local chapter of Toys for Tots to coordinate the dealership’s own toy drive this year. 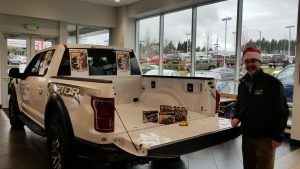 Instead of a traditional donation bin, or a sleigh pulled by reindeer, the dealership selected a white Ford F-150 Raptor to hold the toy donations in their showroom. The team at Mullinax hopes to fill truck with new, unwrapped toys to bring some Christmas magic to children around the community. 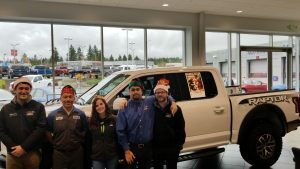 Quite a few employees have decided to make their donation to this year’s toy drive hoping to make Christmas special for the children of Thurston County by purchasing some gifts and adding them to the pickup truck. The toy drive at Mullinax Ford runs now through December 14. If you would like to donate, simply drop by Mullinax Ford, add your new, unwrapped toy to the pile, and help them spread a little more cheer this holiday season.